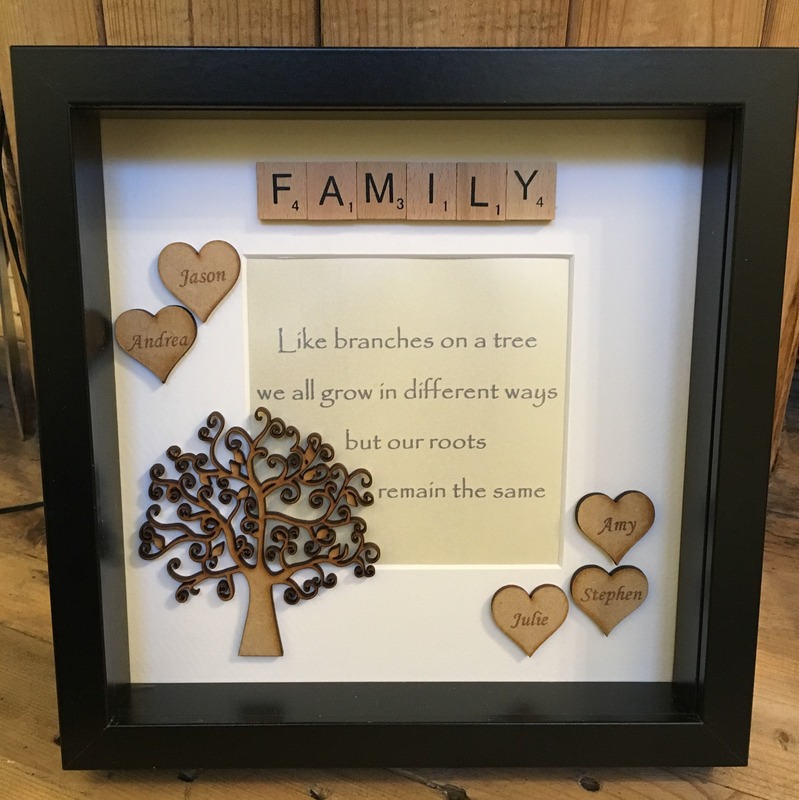 This family tree is lovingly created using a laser cut MDF tree (tree may vary slightly from the one pictured), scrabble letters and hearts with a sentimental saying in the centre. You can have the background colour of your choice and will be presented in a deep box frame. Please indicate in the drop down box what colour frame and background colour you prefer and add a note with the names you require. What names would you like on your tree? Separate names with a full stop.